By Brian Voo in Desktop. Updated on November 19, 2017 . Microsoft’s OneDrive (previously known as SkyDrive) is a cloud storage service inside Windows 8.1 via which users can sync their files to all their Windows devices. Because it’s installed together with Windows 8.1, its folder is located in the operating system hard drive. This might be a turn off to users with a small-capacity solid state drive. This quick tip will help you relocate the default OneDrive folder location to open up storage space for the installation of other files. It’ll be good to relocate it to a secondary storage drive on your computer. 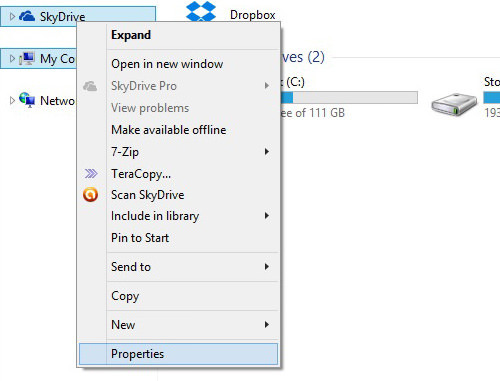 Note: Microsoft hasn’t updated SkyDrive to OneDrive as seen in the pictures during the time of this writing. Open a Windows File Explorer window and right click on SkyDrive at the quick navigation pane on the right and select Properties. A window with the SkyDrive properties will pop up. 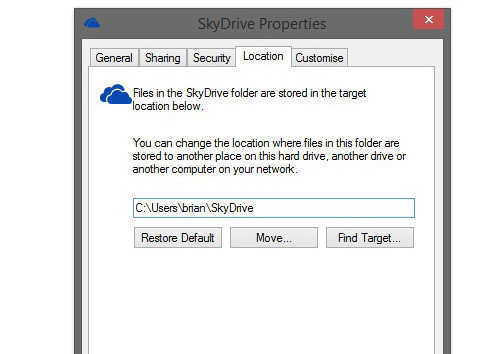 Under the Location tab, you’ll see the current location of the SkyDrive folder. 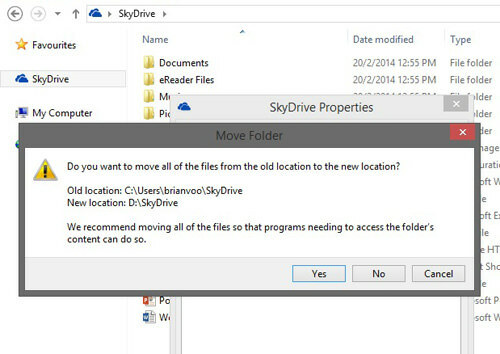 To change this, click on Move… and choose the folder you want to move all of your SkyDrive’s contents to. Once you’ve selected a folder, click OK and it’ll prompt you if you want to move all the files from the current location to the new folder location. Click on Yes. Now when new files get synced into this computer, it’ll be stored in the new location. Everything will work like it should and you would have more free space on your operating system hard drive or solid state drive.